Carson is officially obsessed with the Giants! He knows the entire "Don't Stop Believin'" Giants theme song. He insists on wearing his Giants gear. Carson runs around chanting "Let's Go Giants". He is a mini Josh!! 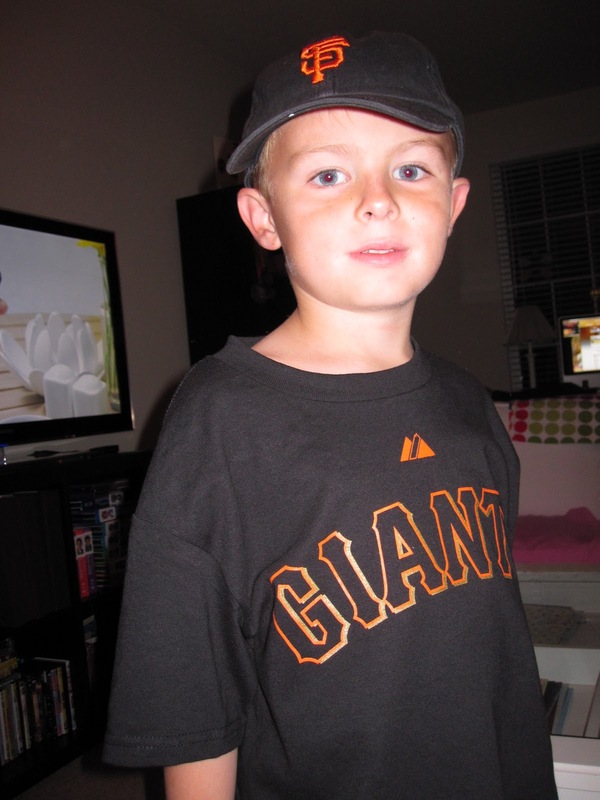 I sure hope the Giants win the the World Series he will be so sad if they don't. Although, both boys don't exactly understand the whole World Series thing. We tried to explain to them it's like World 9, King Kubba's castle on Super Mario Bros. I think that helped. Go Giants!